Transform your sleeping space with this simple upholstered bed. 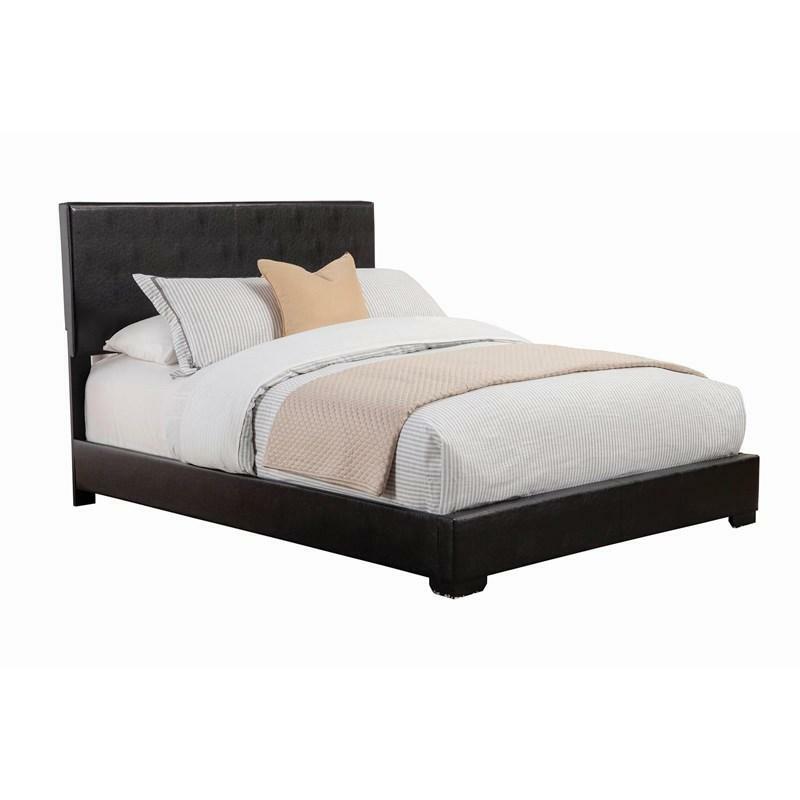 A straight headboard, exposed tapered feet and the leatherette upholstered headboard adds a luxurious look that you will love. Offered in a variety of sizes and two upholstery colors, this bed is just the thing to complete your master bedroom. Transform your sleeping space with this simple Connor Queen Upholstered Bed created by Coaster Furniture. 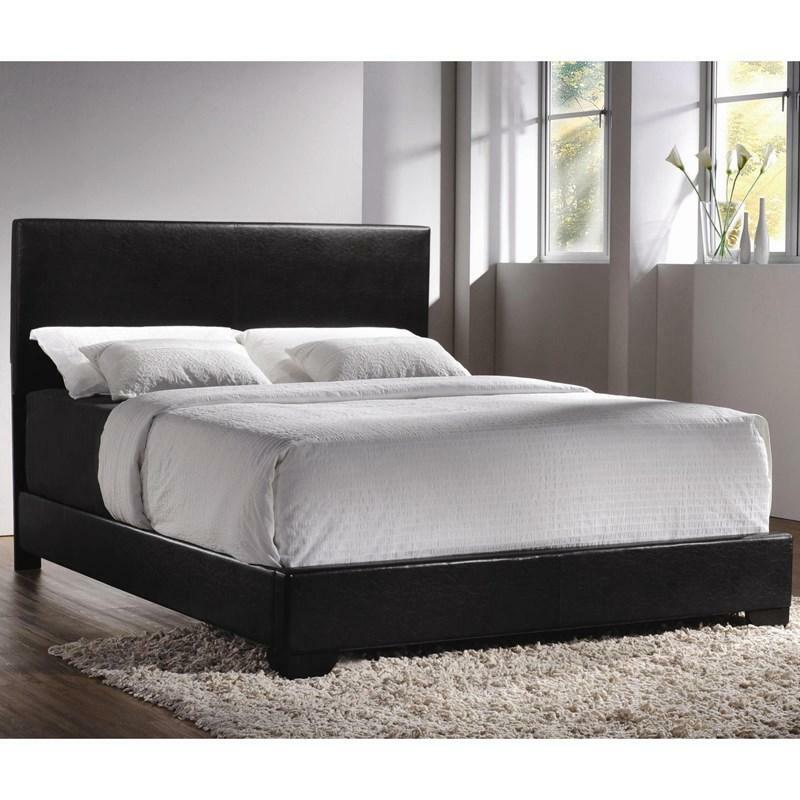 A straight leatherette upholstered headboard, rails, and footboard exposed tapered feet, it shows a luxurious look that you will love.